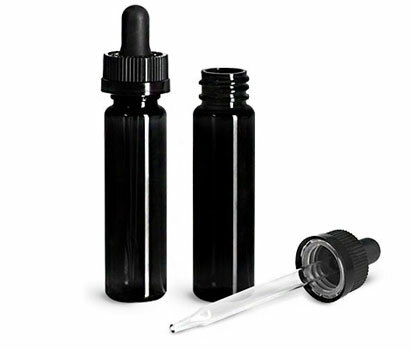 Black slim line cylinder bottles are paired here with black child resistant glass droppers for various applications which can include pharmaceuticals and E-liquids. 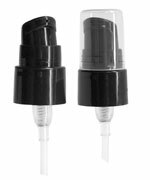 To remove the child resistant bulb glass droppers while pressing down, you will turn the caps in the direction of the arrow printed onto the caps. 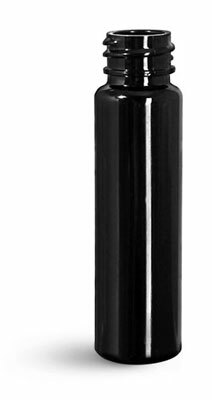 These black PET slim line cylinders are opaque, meaning they will provide an extra UV barrier while maintaining all the beneficial properties of PET as a packaging choice.